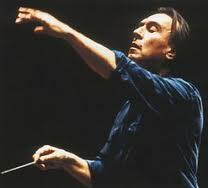 Renowned Italian conductor Claudio Abbado passed away yesterday at the age of 80. You can read about his life here. 45:17 – Adagietto. Sehr langsam. 53:49 – Rondo-Finale. 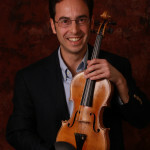 Allegro-Allegro giocoso. Frisch. In June 2012 in Paris at the Salle Pleyel, I had the privilege of attending a concert with Claudio Abbado conducting his Orchestra Mozart Bologna in a program of Beethoven and Schumann with guest Radu Lupo, piano. It was a magical evening to treasure.